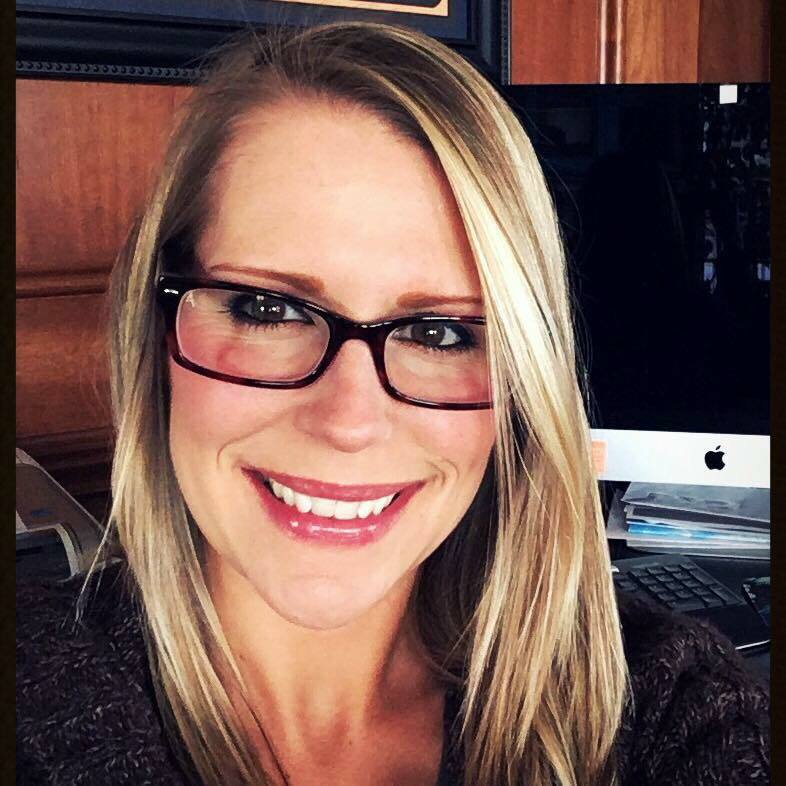 Welcome to the official website of Hannah Lynn Art & Design, where you can find unique, colorful, and fun fantasy artwork and coloring books featuring cute fantasy chibi manga anime style fairies, mermaids, vampires, princesses, animals, & more enjoyed by all ages! 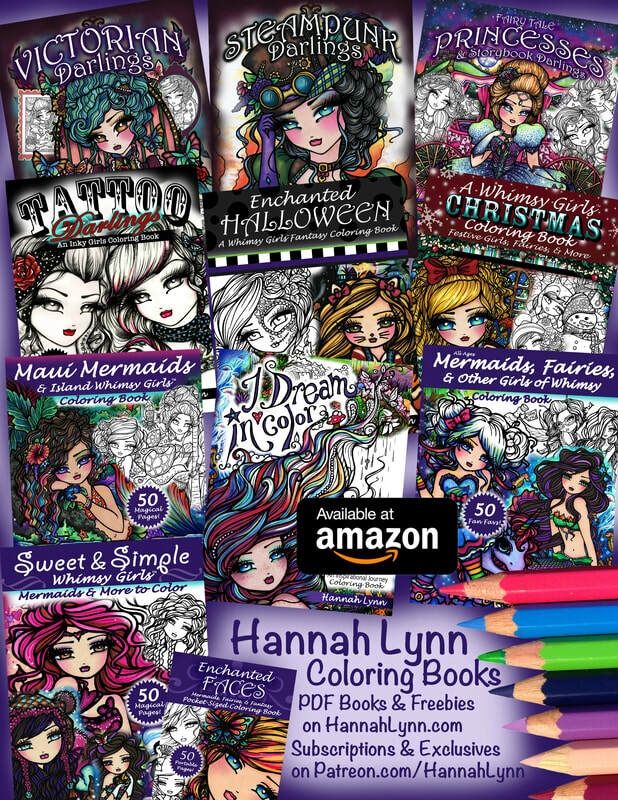 Kickstarter project for "The Best of Hannah Lynn Coloring Book" is NOW LIVE!!! ENDS APRIL 28TH! This book will NOT be available through Amazon so if you would like a copy of this book, you'll need to pledge to the project BEFORE APRIL 28TH! Kickstarter is a crowdfunding website for creative individuals launching single projects at a time--this is totally separate from Patreon (my monthly subscription service). The way the campaign works is that I set a funding goal and levels for you to choose from--if we don't meet the overall funding goal over the 30 days of the campaign, the project falls flat and no payment methods are charged. You are basically pre-ordering copies of the book before it's completed so I can get the funding together to order said copies! All cards are charged the day the campaign closes (30 days after it starts), or not at all if we don't make our goal! Make sure you are signed up with my mailing list to get notifications on this special project! NEW! Printable Stationary Set now available on Instant Download! 4 Pages full color, 8 pages color your own (one close up and one full body version of each Whimsy Girl)! Join me on Patreon.com for exclusive downloads & more! April Download set! Join Patreon.com/HannahLynn anytime in April to get this set (Silver or higher), along with a 10% coupon code and an entry to win the original sketch! I am very blessed to have been chosen once again for a special Hannah Lynn "takeover" issue with Colouring Heaven magazine! Autographed copies SOLD OUT on my site! Purchase directly from the publisher HERE. ​40 designs in total--all 25 of the illustrations from Steampunk Darlings PLUS 15 exclusives in this edition. Hannah's recommendations for coloring supplies! Hannah Lynn merchandise--Phone cases, posters, t-shirts, postcards, tote bags, and more on Zazzle! Follow me on Facebook, Instagram, or Twitter! Shopping for someone else, but you're not sure which coloring books they will like best? An Amazon Gift Card is always a great choice!